Life is too short for bad pizza! Don't settle, call Duke's and we'll fix our competitor's mistakes. We believe that no one should settle for an inferior pizza. 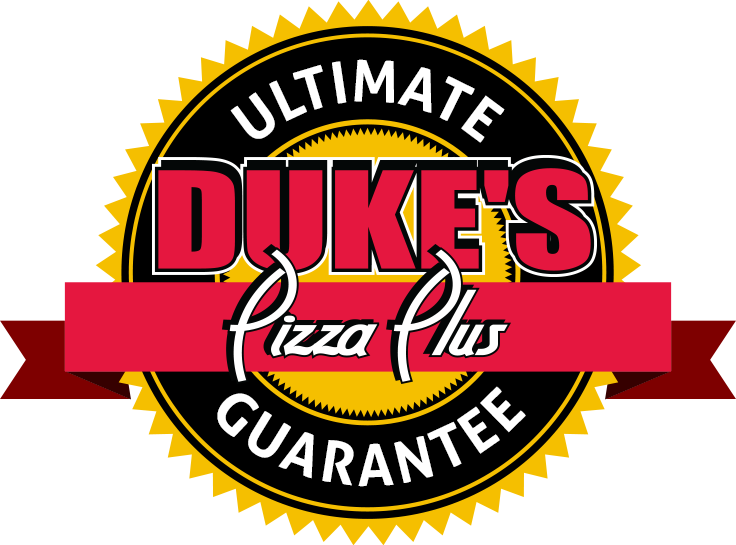 Therefore, if you ever purchase an unsatisfactory pizza from any pizzeria in our area, call Dukes Pizza Plus, and we will immediately exchange the uneaten portion of your pizza with a Dukes Pizza Plus pizza - with the same Toppings... FREE OF CHARGE!